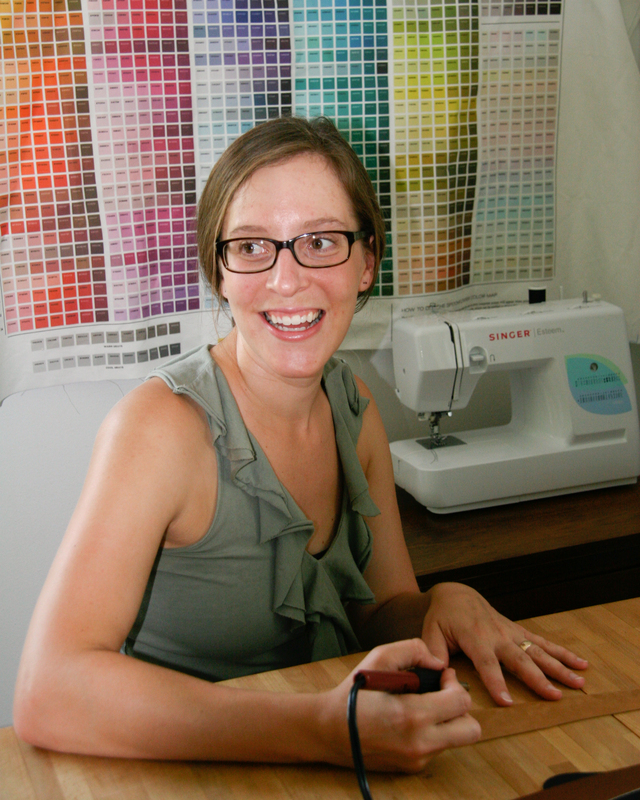 September’s featured artist is textile designer and artist, Lauren Ann Paul. Being a textile artist Lauren creates many things for Hatch; screen-printed tea towels, hand-stamped fabric buckets ,tote bags and head bands made with her fabric design, wrap bracelets made from leather remnants and vintage bone buttons and most recently, you can see where her vision gets its start with her paintings. Many of her patterns evolve from nature. Seedpods, plants and vines come to mind. 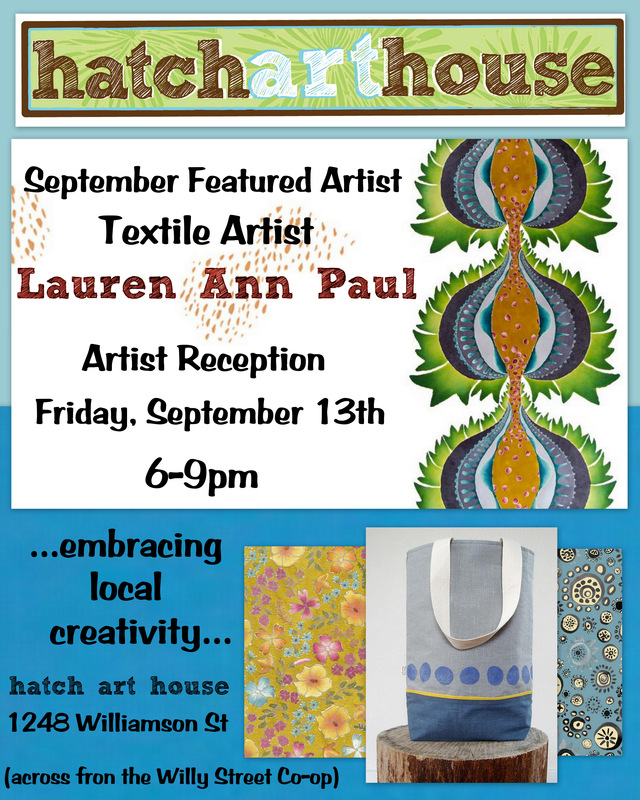 Stop in anytime this month to see the expanded selection of her work and join us Friday, September 13th from 6-9pm for Lauren’s artist reception. Good times and refreshments will be served.